Big Gaels GAA Night – Melvin Gaels big fundraising night on Saturday January 12th in the Great Northern Hotel, Bundoran, “The Harte of the Matter”, will feature special guests, Mickey Harte, Aiden O’Mahoney, Caroline Currid, Rory Gallagher and Brian Mc Eniff and others and will explore and delve into the GAA in the past, the present and the future. There will be a huge raffle which will include signed county jerseys from Leitrim, Donegal, Tyrone, Sligo, Kerry and much much more! While it’s a fundraiser for the community pitch and ongoing club costs it’s an event that any GAA fan may like to attend. Let’s all make this a night to remember for the town and the surrounding areas. The event will be hosted by Colin Regan. 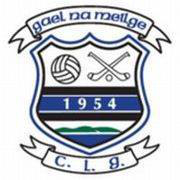 Presentation of medals to the Melvin Gaels Under 20 County Championship winning team will take place on the night and any player due to get a medal is asked to contact Club Chairman, Liam Freeburn at 086 3882077 to arrange tickets at a reduced rate. Tickets are, Adults €15, Under 16s €5 and are now on sale in McGowans Spar, Kinlough and at reception at The Great Northern Hotel, Bundoran. Draw winner – Congratulations to Philip Mc Gowan, Melvin Court, Kinlough who won €375 in last week’s 50/50 Draw. New Development Project – Many people from the locality and further afield have supported the Community Development Project at the Community Centre, Melvin Park and Dressing rooms, which is well underway. Any Kinlough people travelling home at Christmas will see that Melvin Park has changed a lot. The Committee is appealing to anyone who has yet to support the development to try to help, by joining the draw or sponsoring in any way. A lot of money is needed to complete the project which will be very impressive when completed and will be a huge benefit to all the Community. The fundraising involves “Make Your Mark on Melvin Park” for €100 which will represent a square of Melvin Park, entry into a draw, prizes 5x €1000, and your name on a commemorative plaque. To get your “Mark on Melvin Park” contact Spar, Kinlough or Pat at 0871787194 or Katherine at 087 287 0086 any of the Committee or go to www.kinloughcommunitycentre.wordpress.com. The Club is very much involved in this fundraising and any donation would be greatly appreciated. Start Walking – The Club is asking everyone, young and not so young, to come along and get fit and healthy and also take part in a great social activity. The lights will be on at the Training Pitch every evening from 4pm to 9pm as a Health Initiative so that the Community can make use of them on the dark evenings.